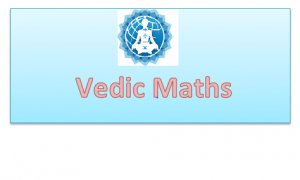 Learning to perform fast mental maths calculation will help you immensely irrespective of which field of life you deal with.Knowing these mental maths tricks(vedic maths) will give you a positive edge over the others. Whether you are a student,aspiring engineer,statistician,scientist,school teacher or anyone else dealing with numbers,learning this quick mental tricks and techniques (popularly known as vedic maths techniques is always going to benefit you. let say you want to multiply 52*11.This can be calculated in less than 1 second but if you want to do it traditionally,it will take you around 5-6 seconds. 3) 72 * 11 = 7 (7+2) 2 = 792 etc..
With just a little bit of practice you can easily perform these simple mental maths tricks in the blink of an eye. Is 456138 divisible by 9? To test whether a certain large number is divisible by 9 or not,just add all the digits of the number and if the end result is divisible by 9,then you can say that the entire large number will be divisible by 9 too’. Now since 27 is divisible by 9 so 456138 will be divisible by 9 too. Similarly (56)^2 = 5^2 + 6–6^2=25+6——36= 31——–36= 3136 etc.. Similarly try out squares of 57,58 etc..
Let the number 49 . Look for the nearest multiple of 10 . ie; in this case 50. We will reach 50 if we add 1 to 49. So multiply (49+1) x (49-1) = 50 × 48 = 2400 This is the 1st interim answer. We had added 1 to reach the nearest multiple of 10 that is 50 thus 1x 1 = 1 This is the second interim answer. Let the number be 47 . Look for the nearest multiple of 10 . ie; in this case 50. We will reach 50 if we add 3 to 47. So multiply (47+3) x (47-3) = 50 × 44 = 2200 This is the 1st interim answer. Place the larger number(19) at the top and the 2nd digit of the smaller number(2) in the bottom. Now, multiply the units digit of both numbers, i.e., 2×9=18. So clearly Knowing these simple calculation techniques gives you an advantage over others and can get you a job,get you crack any competitive exams and much more.